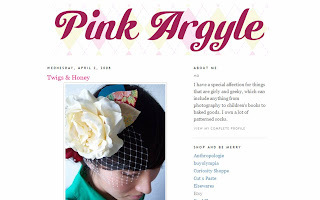 The wonderfully creative, Mo, of Pink Argyle blog has done a lovely post on twigs & honey! I'm so happy I found her because she has such lovely posts. I'm sure I'll be checking it frequently for some great design finds and other things that make life so darn pretty. :) Mo, a photo researcher, has a great eye for those sometimes hard to find treasures. Check her out! !